There are various methods of waterproofing floors. However, not all of them are right for your particular floor. It’s important to choose a waterproofing method that suits your particular situation. The first thing to consider is how your space is constructed. You will want to choose a method that is suitable for your space. Is the space finished? Is the area still under construction? Are there various obstacles in the space? Is there a large area to be covered? Some waterproofing membranes are applied directly to the sub floor. The sand and cement tiles are laid over the top of these membranes to keep moisture out. Other membranes can be applied over the cement and sand bed. Others apply both methods for extra protection. The method you choose will depend on the level of protection you need. Does the method you’re considering require you to have specialized training and skills? Do you need specialized equipment for the installation process? It’s important to choose a method that is easy to install. You will want to ensure that you can get great results with the installation even if you don’t involve a trained and experienced professional. 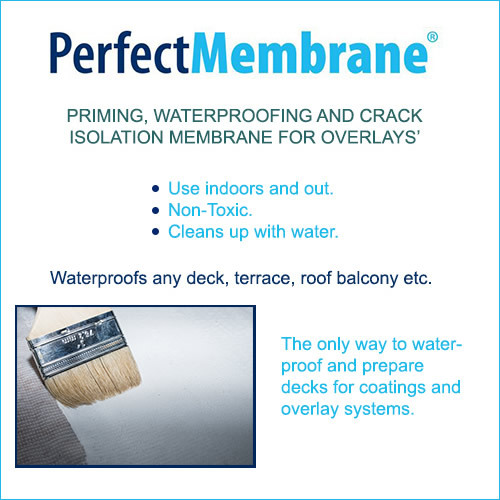 PerfectPrimer offers an easy way to waterproof your floors. This primer is easy to install and offers a high level of protection. Just about anyone can install PerfectPrimer. 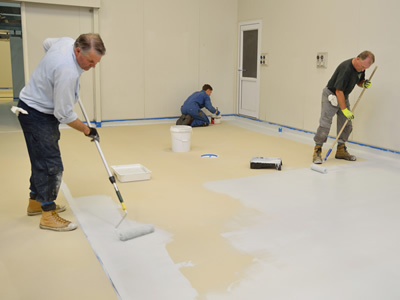 You don’t need specialized equipment or training to install this waterproofing primer to your floors. It is a great option for a wide variety of floors including concrete, wood and carpet floors.